A new study indicates that the benefits of MDMA-assisted psychotherapy for patients with post-traumatic stress disorder (PTSD) persist years after the first treatment of the drug. The scientists published their findings in the Journal of Psychopharmacology. This could help patients with PTSD who do not respond to traditional treatments. However, the results come from a small-scale pilot study, and larger studies are needed before this outcome becomes convincing. In this trial, 20 patients with PTSD, who hadn’t responded to psychotherapy or to conventional psychopharmacological drugs were given MDMA (3,4-methylenedioxy-N-methylamphetamine) or a placebo during two eight-hour psychotherapy sessions. 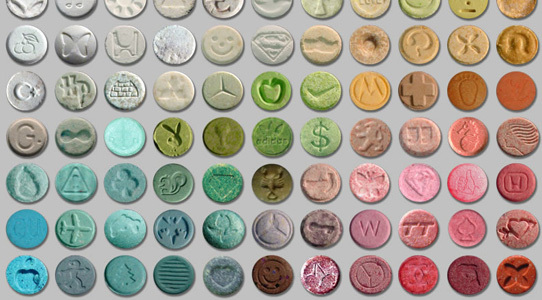 The results show an 83% response rate in the MDMA group, compared with 25% in the control group. It was defined as greater than a 30% reduction in the standard measure of symptom severity on the clinician-administered PTSD scale (CAPS). Researchers think that MDMA decreases levels of fear and defensiveness, as well as increasing trust between patient and practitioner, when used in a clinical setting. A follow-up on this study, four years later, showed that two participants had relapsed, but on average the improvement in symptoms was maintained. This could lead to making MDMA a prescription drug. Critics state that the sample was too small, so the placebo effect cannot be ruled out. Also, 8 of the participants were still in psychotherapy and 12 were still taking psychiatric drugs, possibly suggesting that it was the continuing treatment that caused the improvement. 1 Comment on "MDMA Provides Prolonged Relief from Severe Stress"